On occasion, my prior career in social science research blends quite intimately with my current work as dramaturg and critic and observer of theater. One recent example is a project completed earlier this month with my husband Jeffrey Alan Butts, Director of the Research & Evaluation Center at John Jay College of Criminal Justice. We met as graduate students in social science at the University Michigan some decades ago, and while I moved on to research in theater, husband has built a career in studying youth crime and alternative community responses to young people in trouble. When the Manhattan Theatre Club Education Program reached out to the REC in summer 2015 for ideas on how to plan a full scale evaluation of its Stargate Theatre Company that works with young men involved in the criminal justice system, our combined interests and skill sets were, well, a perfect combination. The Stargate Theatre Company in New York City is an initiative of Broadway’s Manhattan Theatre Club. The members of Stargate are justice-involved young men who craft a new theatre piece over the course of seven summer weeks and perform it to an invited audience. 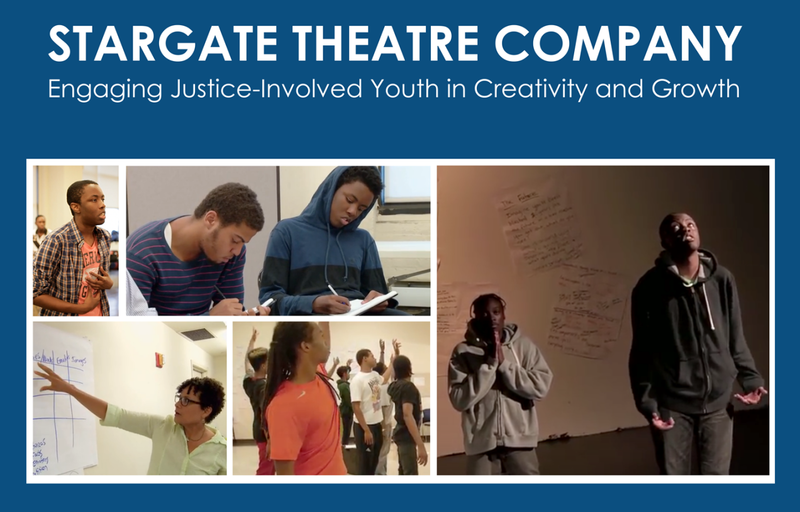 Stargate provides transitional employment, work-readiness training and literacy education through enforced standards and writing expectations in a supportive and rigorous environment that happens to be theatre. The young writer-performers work for pay, guided by professional theatre artists and educators to compose, rehearse, and ultimately to perform their own words about their own life experiences, hopes and fears. Three original pieces of theatrical collage have been staged in the first three program development years: Behind My Eyes, performed by seven collaborators in 2013, Weathering the Storm, crafted by nine collaborators in 2014, and Deeper Than Skin, performed in 2015. The members of Stargate Theatre Company asked dramaturg and theatre consultant, Martha Wade Steketee, to work with the Research & Evaluation Center at John Jay College to observe and review Stargate operations and to suggest a plan for evaluating its effectiveness. I put on my dramaturg/researcher/journalist hat and interviewed the founders of the program and observed rehearsals and performances and reviewed reports, white papers and other documents about the program during its first three seasons. Jeffrey Butts offered an illustrated and nuanced discussion of related research literature, and the complexities of research designs to assess short and long terms effects of this particular arts program for court-involved writers and performers who participate. What we have created is both a summary of where the project has been and some directions for evaluating the exciting program in the future. The full report is available in HTML and PDF formats.